An acorn fell on my head today. The exact same thing happened once upon a time to Chicken Little (from the classic children’s book of the same name) and she immediately told herself that the sky was falling and then proceeded to run around telling the same (made up) story to anyone who would listen! WARNING: spoiler alert if you keep reading past this point! Long before they reached their destination, Chicken Little & her friends believed another made up story (which was missing a few subtle plot points) and ended up as Foxy Loxy’s permanent dinner guests. Because Chicken Little dramatically overreacted to an upsetting incident that was out of her control she got herself and all of her friends killed. The sky was never falling. Upsetting and out-of-our control incidents happen all the time. 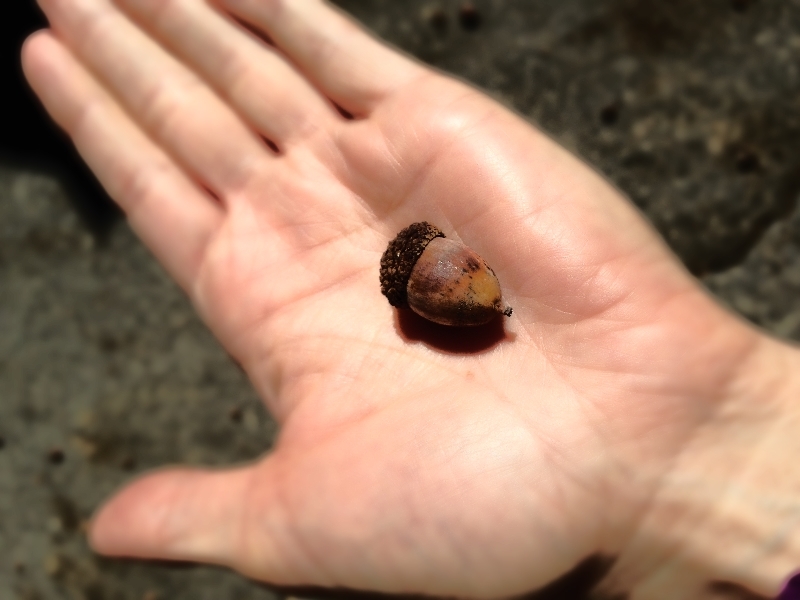 How many of us make up stories when we get hit on the head with an acorn? Other than a temporary insult to your noggin, that acorn doesn’t impede your progress for long. Unless you choose to stop everything and claim a falling sky. Your sky is never falling.